AOL became the latest company to blame Obamacare for cutting back on employee benefits. The tech firm will now pay its 401(k) company match only to employees who are active on Dec. 31 of that year, as opposed to in their paychecks throughout the year. So those who leave the company before the end of the year will forfeit the match. 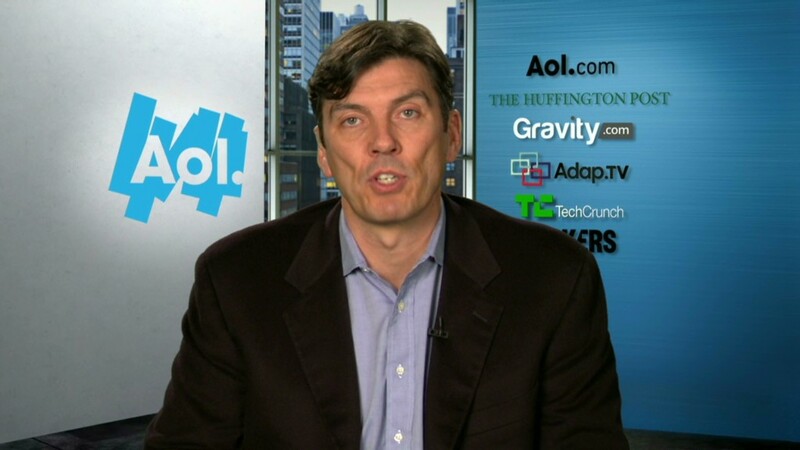 AOL (AOL) CEO Tim Armstrong blamed $7.1 million in additional Obamacare costs the company is facing this year. Had the company not made the change in its 401(k) payments, employees would have seen their health insurance costs increase, he told CNN Thursday. Armstrong did not provide a lot of specifics about what aspects of Obamacare were pushing up the company's health care costs, but said it was one factor affecting the 401(k) restructuring. "The Obamacare Act and some of the changes that happened there had increases in our health care costs," Armstrong told CNN. "We had to make a choice whether we pass those on or whether we took other benefits and reduce them." Some employees will still see their premiums rise, depending on the plan they picked, though AOL "ate a huge piece of the increase." The news came on a day when AOL announced 2013 was "its most successful year in the last decade," reporting revenues of $2.3 billion. Share your story: Have you begun using your Obamacare benefits? AOL's move makes it the latest in a string of companies to change their benefits because of Obamacare. A few weeks ago, Target (TGT) said it will stop offering health insurance to part-timers and instead help them buy coverage on the state and federal exchanges. Last year, United Parcel Service (UPS) and University of Virginia said they are dropping coverage for employees' spouses that have access to benefits elsewhere because of Obamacare. Transitional reinsurance fee: This fee will be imposed on employers for the next three years and will go toward helping the state-based insurance exchanges pay for large claims. The fee will be $63 per insured member in 2014, but is expected to decrease in the latter two years. Patient Centered Outcomes Research Institute fee: This charge will go to pay for a new agency tasked with giving patients a better understanding of the prevention, treatment and care options available, and the science that supports those options. Employers were charged $1 per insured person in 2013 and will pay $2 in 2014. The fee then increases with inflation in health care spending for the next five years. Health insurer fee: This annual fee is aimed at helping pay for the implementation of ACA. It will be about 2.5% of total premiums in 2014 and is expected to go up to 4% by 2017. Beyond that, it will rise with the growth in premiums. Insurers are expected to pass this fee through to employers. 'Cadillac' tax: Starting in 2018, employers who offer rich benefit plans -- where the total premium will cost more than $10,200 for an individual plan or $27,500 for family coverage -- will have to pay the so-called Cadillac tax, a 40% tax on the amount over the threshold. This tax is prompting companies to shift more medical expenses onto employees, which not only brings down the price of the premiums, but also pushes employees and their spouses to consider other options available to them. Individual mandate: Also adding to employer costs is the Obamacare requirement that Americans obtain insurance or face a penalty starting in this year. That will prompt many employees who had opted out of their company's coverage to sign up. Aside from new Obamacare fees and taxes, the growth of health care costs has been at record low levels for several years. Annual premiums -- including both employers' and employees' shares -- rose only 4% in 2013, according to the Kaiser Family Foundation/Health Research & Educational Trust (HRET) 2013 Employer Health Benefits Survey.